5th Generation wireless systems (5G) are what’s next in the personal mobile communications space and they will eventually replace the currently ubiquitous 4G systems. The key characteristics of 5G is higher capacity and lower latency which will (1) support a higher density of mobile users as well as provide (2) a comprehensive infrastructure for IoT and M2M communications. A discussion of how the deployment of 5G networks as residential broadband platforms will impede the planned use of fiber in the access network. 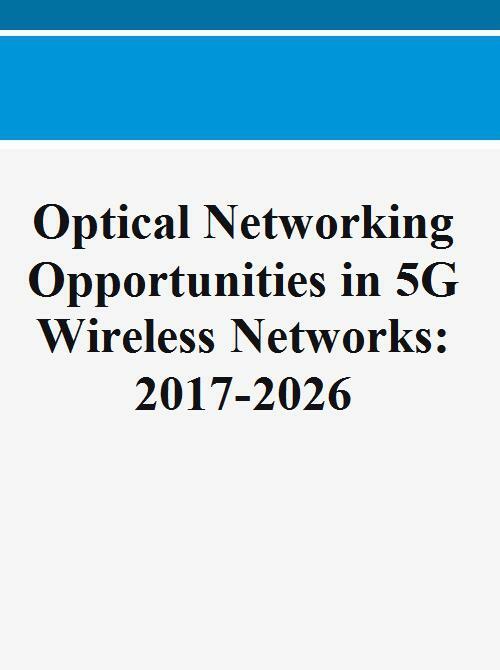 In particular, the report will take a look at how optical networking firms can readjust their marketing strategies to new product and customer types as the 5G “revolution” takes hold. 2.3.3 5G Backhaul Will Need More Dark Fiber: Where Will It Come From? 5G Monetisation: Will Gigabit LTE and 5G bring Higher Revenues?